Get extra protection for the outdoors without compromising your style. In a darker tortoise pattern, a wrap-around shape shields the front, and then, wider temples extend that coverage to the sides. 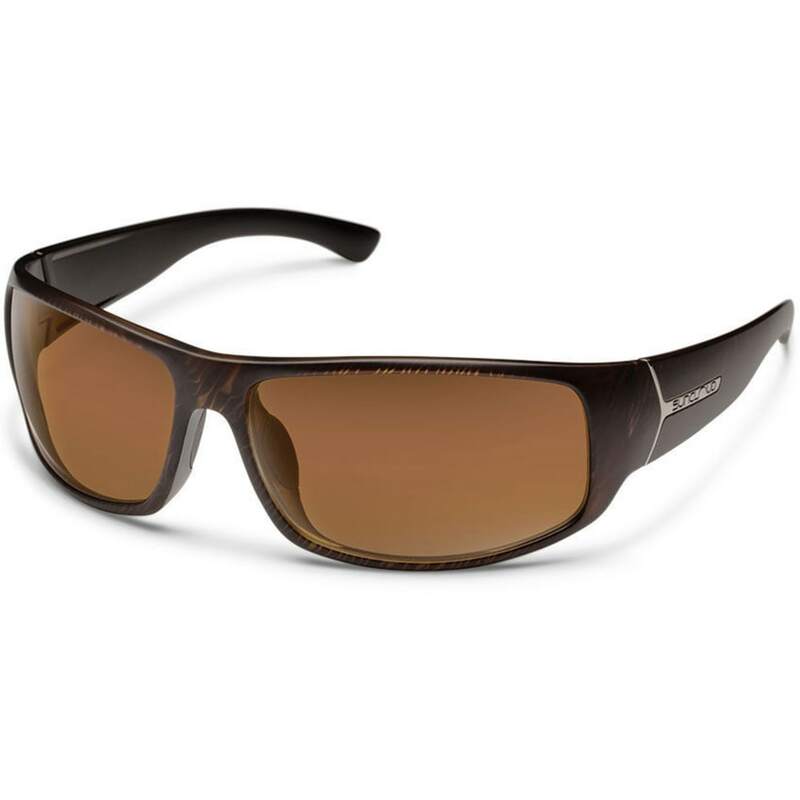 Matching with solid brown, polycarbonate lenses fully block out the sun.